The festival of Chanukah teaches us about the power of light over darkness and right over might. 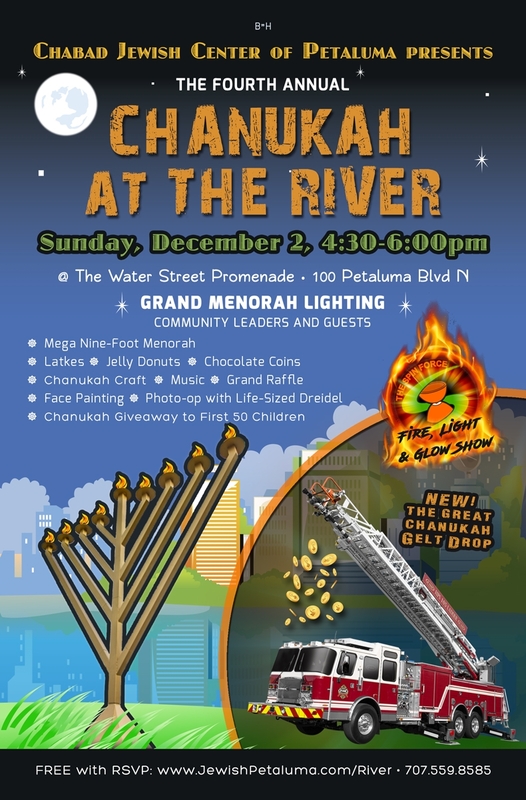 Join us for the fourth annual Grand Menorah Lighting at the Petaluma River! ✡ NEW! The Great Chanukah Gelt Drop! ✡ Spectacular Fire and Glow Juggling Act with "The Spin Zone"! ✡ Latkes, Donuts, and Chocolate "Gelt"
✡ Special Chanukah Giveaway for first 50 Kids!